Armor, Weapons and Shields pages revamped! Mobile view and Sortable Weapons tables in the Weapons Sortable page! Developed by From Software, Dark Souls 2 is a sequel to the critically acclaimed Dark Souls, an action RPG with estimated sales of over 1.5 million units. The original game's appeal lay with its renowned difficulty and trial-and-error approach, one that Dark Souls 2 promises to sustain. As of the 24th of March, 100 million souls have died on PS3, and 35 million souls have died on Xbox 360. The game is not a direct sequel to Dark Souls. As the game's protagonist, the players will embark on a journey to remove from themselves the affliction of a curse. Bonfires and covenants return, as do gestures. The difficulty level will remain, with the focus staying on learning from death to overcome challenges. The variety in ways to die has been prioritized but the focus is still on fairness. Story is presented in the same fashion as Demon's and Dark, unobtrusive and discoverable by players who wish to dig deeper. A new graphics engine was created to address frame-rate issues and give the development team an extra tool in creating atmosphere. PC will run at 60 fps and Console versions will run at 30 fps. Genuinely love this game. Its environments may not be as masterfully crafted as those of DS1, but its gameplay is infinitely better than that of DS1; not nearly as awkward and dying usually feels like you made a mistake instead of dying to weird geometry and odd hit detection. I love that its story is more separated from those of DS1 and DS3 because this is a "standard" cycle, unlike DS1 which is the second linking and DS3 which is the last. Second only to DS3 for me! The worst game From Software ever put out. Nonetheless, this is a B-TEAM game. -clunky controls -garbage soundtrack -npcs are rude and uninteresting -horrible textures throughout the whole game -too many damn humanoids to fight against -the A.I. is so horrible enemies only attack you at the same time -each room in this game has like 15 copy-and-paste enemies -bosses are lame e have the same patterns -lore starts out as something innovative sure, but in the end is identical as Dark Souls 1 A big part of the flaws in Dark Souls 3 came from this garbage here, called Dark Souls 2, a B-TEAM game. And really, it&apos;s plain crazy how there are people out there lately that have been praising this piece of garbage. Dark Souls 2 will never be better better than Dark Souls, Demon&apos;s Souls, or Bloodborne. In my opinion those who are openly fanatics about DS2 really have mental issues. I mean, look at that hbomberguy on youtube praising Dark Souls 2, this is the kind of people who like this game lmao! THOSE WHO SAY DARK SOULS 2 IS A GOOD GAME NEED THEIR HEADS BEING *****ING EXAMINED. favorite souls soundtracks, mine is either abyss watchers or German from bloodborne. has anyone else been f**ked around by the great souls, when i killed the duke of fetja pet there was a red thing on the ground, i pick it up but didn&apos;t have time to read it because i was hoarded by spiders with less than 50% hp, then i swung Greatsword around. when i finally got to majula nothing change so i thought i did something wrough, which from there i ended up eating these great souls, still nothing changed. at this point i was freaking out because i will now have to get 1 million sm, or bonfire ascetics, and i can&apos;t get there boss weapons. but after a bit i figured out all you had to do is go to the shrine of winter and open the door. so now i&apos;m wondering am i really missing out on the old ones boss weapons? PEACE BRAH! hey my hollow friends, anyone played the JOINTED, i feel like someone here would be good at it, or maybe i should go to the dark souls 3 wiki, probably will because i beat like four bosses in five hours with the Greatsword +2, smelter demon, old iron king, the scorpion chick, and the duffus headless snake queen b***h. well, PEACE BRAH! hey has anyone played furious frogs on arcademic skill builder. i&apos;m a *****ing champ, the highest i ever got was a 50, but today was a des 48 so, dah some please try to invade me, dah i call my self jamesieboy every time so giver bui. PEACE BRAH! thats kind of my trade mark, PEACE BRAH! hey friendos, seen my thing about crash team racers had been taken down, lot of upset fokes, so just here to say that i really enjoy dark souls 2, but haven&apos;t had the joy of playing the third on yet. this f**king add for maple story is full of just cheebie lolie, kind of hard to make fun of it. (DAH! SOMEONE PLEASE INVADE ME. DAH I&apos;M BORED OF HAVING NO FRIENDS)sorry, couldn"t help myself. PEACE BRAH! Someone please invade me. I&apos;m bored on vanilla. Like one duelist in the brotherhood arena. Grumpy Cat: "I had fun once, then I played the Dark Souls series. I have never been the same since." A lot of people don&apos;t seem to care for Dark Souls 2 but I honestly love it. 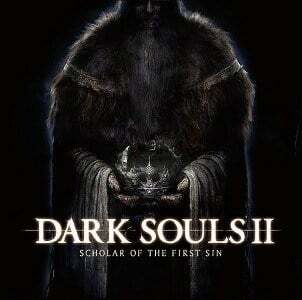 DS2: Scholar of the First Sin might be my favorite souls game. It&apos;s super long, with a lot to do, and a ton of space to explore. Sure there are a few areas that might not be very well designed but overall it&apos;s a lot of fun. PvP and invading are dead. Rarely get invaded pretty much 1 invader per ng if you exclude the DLC cause that’s where people like to invade. I think I missed something. How exactly is sitting on the throne of want related to rekindle the first flame? It has to be related because the Emerald Herald is talking about how sitting there will make flourish the land again... but where is the flame in that throne room? And wasn&apos;t sitting on that throne not just granting the "allseeing eye"? Where do I burn my body in that process of sitting on that thing? You have a stupid ad covering content when viewing on mobile devices. Please fix it.